Lithuanian Prime Minister Saulius Skvernelis says that his government does not plan to introduce a universal car tax but may put in place a registration tax for polluting vehicles. The prime minister also criticized an air pollution reduction plan worked out by the Environment Ministry. "There'll be no universal tax on cars in our government. I repeat once again: we'll have to think in the future about how to discourage people from registering very old and polluting cars," Skvernelis told the Žinių Radijas radio station on Thursday. "There may be a registration tax, but we'll also take steps to ensure that people have the possibility and incentive to purchase a newer, less polluting car, not necessarily a new one," he said. The prime minister criticized the Environment Ministry's plan as "not worth discussing". "(The plan) hasn't even been preliminary discussed by the Cabinet. (...) certain positions are completely incomprehensible. I can say that this plan isn't going to reach the government", he said. It may cost 254 million euros to implement all the measures envisaged in the plan for air pollution reduction until 2030, which was tabled by the ministry last week. 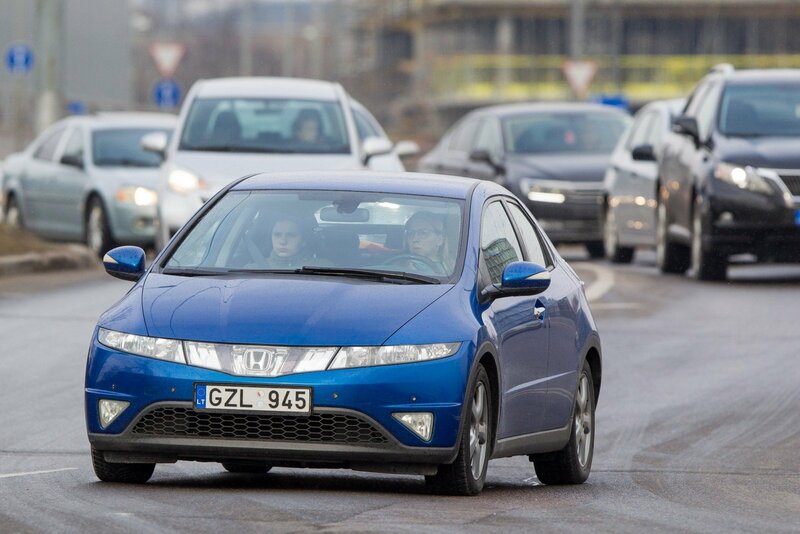 The plan calls, among other things, for giving financial incentives to local authorities in Vilnius, Kaunas, Klaipėda, Šiauliai and Panevėžys for restricting the movement of diesel cars in the cities or parts of them starting in 2020. It also provides for taxing passenger cars based on their pollution levels starting in 2020 and for offering financial incentives for people buying environment-friendly cars starting in 2021. The ministry expects the government to approve a national air pollution reduction plan by the end of the year and submit it to the European Commission by next April. The plan should be updated at least every four years.